If trying to keep all your kids’ toys organized is an epic battle, this guide is for you! 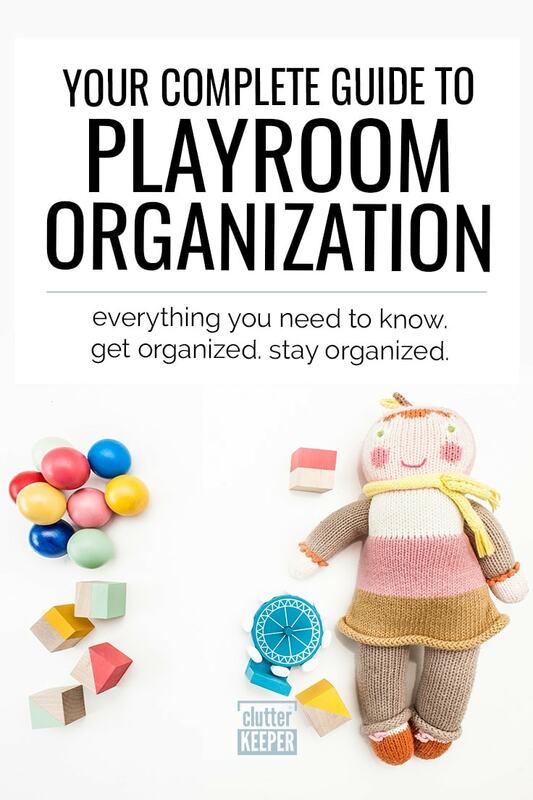 Here is everything you need to know about playroom organization. It seems like it’s impossible to keep toys organized. This guide will break it down for you easily, step by step. You’ll learn how to organize your toy room completely. Don’t have a toy room? These hacks will help you organize toys in every room in the house! So let’s dig into playroom organization. The playroom is one of the easiest rooms in the house to become and stay disorganized – especially if you have toddlers. There seems to be an unending amount of toys, and you just want to shove them all in a box and shut the door. But did you know that by keeping the playroom disorganized, you are actually inviting more chaos and disorganization? The greatest cause of disorganization is simply having too much stuff. And when you don’t keep the playroom organized, you don’t know what you have and what you can get rid of. So more toys come into the room, no toys leave, and you have a growing problem. The other cause of toy room chaos is just a lack of systems. This playroom organization guide is going to solve all your playroom problems. You will discover new toy storage ideas and solutions for every problem that comes with having a packed playroom. The very first step is to manage your child’s toy collection. Throw away or give away enough toys that you are able to effectively store the rest. In other words, only keep what you have room to store. Involve your child as you go through your child’s toys and decide what to give away. This will give them a sense of owning a part of the process, instead of just learning their toys went away. It will also teach them generosity and how to stay organized as they grow. As you go through your toys, only donate ones that are gently used. If they are broken or missing pieces, throw them out. Goodwill – This is a non-profit that sells things people donate. Salvation Army – Just like Goodwill, they sell donations at a super low rate. Local Emergency Shelters – Local homeless and/or women’s shelters always need gently used toys to give to children in need. Church charities – If you are part of a church or know someone that is, ask about charities they support that might accept toys. PickUpPlease.org – Vietnam Veterans of America sells your donated items and uses that money to support veterans. They have a truck that will come to your house and pick up your donations. Toys for Tots – Toy donations are especially needed near Christmas. Second Chance Toys – They only accept plastic toys, and are only available in certain metro areas. Their goal is to keep plastic toys out of the landfill. Room to Grow – This is a non-profit in Boston and New York. They accept baby items only. How Many Toys Does a Child Need? As you go through and decide what to keep, how do you know how many toys your child actually needs? Child development experts agree that the best toys for kids are the simplest ones that inspire creative play, and less is more. This is especially true for toddlers. A study discovered that when toddlers had fewer toys in their environment, they played with each toy longer. One type of toy that kids should have around is something to draw on and draw with. Anne Rowan-Legg, a pediatrician at Children’s Hospital of Eastern Ontario in Ottawa, said art promotes creativity and positive self-esteem. Beyond that, toys that can used in a variety of ways – like blocks and props for pretend play – are basically all a child really needs. Now that you know how many toys your child actually needs and where to donate the ones they don’t, what you are left with are the toys your kids love and want to keep. So let’s look at how to store these toys. The following toy storage hacks are genius and will give your playroom so much more space. Choose any – or all – of them and create your own playroom organization solutions. First, sort all your toys and store them in clear bins. Keeping the toys in clear, see-through containers, will help your kids see what goes in them. It also saves you time when looking for a certain toy – you can literally see everything in the toy closet. The next tip is for everyone that struggles to organize their Legos. I Heart Organizing has a fantastic tutorial for sorting Legos. They used a cabinet with plastic drawers that can be easily removed and replaced. Another idea is to store them in a tool box or tackle box. Thrifty Jinxy thought of this idea – the lid is especially handy for preventing spills. How do you store all your child’s toy cars? If you have unused wall space in your toy room, use it! We love this idea from A Lo and Behold Life. This tutorial creates a little mini shelf that holds up to 100 cars. It’s fantastic! You could also use a magnetic strip on the wall too (like one for holding knives). This is a really fun idea because kids actually enjoy picking up when they stick the cars on the magnetic strips. If your goal is to make cleanup as fast as possible, you might want a play mat that doubles as a drawstring bag. This is a great idea for things like toy cars, trains, or even building blocks. Next, let’s look at how to store all the stuffed animals. Because kids really do have a way of collecting a ton of them! If you enjoy DIY projects, then this tutorial from The Keeper of the Cheerios is perfect. Build a “farm” for all the stuffed animals. Your kids will enjoy putting them away in their “home” at the end of the day. Transform a red wagon into portable book storage. Visit Cory Connor Designs for the transformation, it is inspiring! Not only does this look super cute, but you can use this as a way to keep your book collection under control. Only keep what fits on the wagon. Next, create a mini-closet so you can hang up dress up clothes. There are ones for sale, or you can make your own. Hanging up dress clothes in a closet they can reach gives your small ones practice so they can learn how to hang up clothes later. It also makes the dress up clothes accessible and lets you see if you have too many. The Sweetest Digs uses Ikea Spice racks to make a cool playroom. This hack is best for slim paper back books that don’t stand up very well in a typical bookshelf. Store craft supplies on a rolling cart. Suburble has a fantastic tutorial. The best thing about a rolling cart for craft supplies is that you can take the supplies with you on the cart. Things can stay organized because they stay on the cart. Keep board games on the wall like Infarrantly Creative. This is such a creative idea! Use a shadow box picture frame to store the pieces and display the board as art on the wall. One of the biggest struggles with storing board games and card games is the cardboard boxes tend to tear and break. So store card games in plastic bins. Give each card game its own bin and tape the box artwork to the front of the container. Puzzles are another box that tends to get ripped and broken. Store puzzle pieces in a zipper pouch so it lasts longer. Don’t forget to keep a picture of the finished product in the pouch with all the pieces. Another creative way to store books is in wood crates. Maison de Pax has a really beautiful set up that is truly inspiring. You can use each crate to store a different type of book. So this basically creates its own storage system. Something that will help you actually see how much room you have to store things is to create sections of the room for different types of play. For example, create a kitchen corner, a Lego build table, a reading nook, and a craft wall. This will also help you see if there are types of toys your child isn’t interested in at all. Wall storage is incredibly useful in toy and playrooms. Kids can see where things go, and there are lots of ways to store small toys. Hang buckets from the wall for stuff like this at Coisas da Orlas. You could also use hanging planters for stuffed animals, and mason jars on the wall for smaller toys. The final playroom organization and storage idea is pretty simple. Just store small toys inside bigger toys. This hack is from Practical Mommy. If you are short on space, Look at things like toy purses to store toy kitchen items. Or use a large toy semi truck to store small cars. With a little creativity, you’ll be able to find toy storage solutions for your toy room. Now let’s look at how to organize a toy room on a budget. Because you shouldn’t have to spend a lot to get a really organized playroom for your kids. First, admit where the toy clutter is coming from. When you figure out where all the toys are coming from, you can create a plan for preventing your toy room from becoming overrun again. Dishwasher gel packs container – take the labels off and use them to store toys. Cereal boxes for storing paperback books – Cut a cereal box in half to keep thin, paper back kids books neat on the shelf and from falling over. 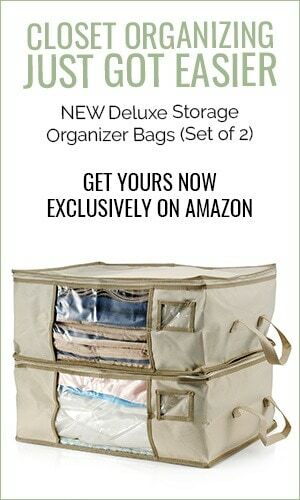 Finally, make your own storage bags. This site has a tutorial for how to make a see-through storage bag with a drawstring closure. Look for sales on fabric. When you score a great deal on DIY supplies, you can often make your own storage solutions for cheaper than you can buy in the store. The best idea is to donate toys your child isn’t interested in anymore. But sometimes they really do enjoy the toys. This is where rotating toys is a helpful idea. Only keep a few toys in their reach and store the rest in the top of a closet. Then when they are getting “bored” of their toys, rotate them out! Replace the current toys with the ones from the closet. It will feel like they just got a new batch of toys. To organize the toys they don’t play with anymore, keep them sorted by type of toy (car, kitchen, blocks) and development level. Sorting by development stage (baby, toddler, preschool, school age) you will be able to give away toys that they outgrow. How do you keep toys with small parts from being lost? It’s such a common problem, and a waste of money. If only toy makers would sell toys with small parts with plastic sealable containers too! Use repurposed containers like baby wipe containers for small parts – You want something that is big enough to hold all the pieces and is easy enough for your child to open and close it by themselves. Nest containers – Store toys with many pieces all in the same large plastic bin. Sort each toy in smaller plastic bins and nest them inside the larger one. Keep each toy set separate – You will be more likely to keep your small parts together if they are in their own plastic bin. Don’t keep the Mr. Potato Head pieces in the same box as toy tools. Only get one tub out at a time – When everything is organized, you will be more likely to keep it that way if you only play with one “small parts” toy at a time. A common problem for toy room organization is how to store big toys. When you have toys that are too large to store inside tubs, how do you organize them? This is a tough one. You really need a large enough area for them to be stored so they aren’t in the middle of the room. If you have a basement or garage, consider storing the larger toys in there and only bringing them out when they want to play with them. If you have extra wall space, you can create a closet for parking ride-on toys and other large items. This last problem is one of the most difficult ones, especially if you have toddlers. How do you keep toys together? You could run behind your kids and help them clean up immediately when their attention changes to something else. But then you’ll be a full-time toy-cleaner. It’s exhausting. Instead, establish and teach a few rules that will help your kids pick up after themselves. One at a time – teach them to only play with one type of toys at a time. Put away the play dough before playing with dolls. Establish playing zones – create an art corner, a reading nook, and a pretend corner. If toys are restrained to being played with in a specific place, they are easier to pick up and stay together. Keep storage systems child-friendly – Label the bins so they know where things go. Now that you have a completely organized toy room, let’s keep it that way. It’s always easier to pick up an organized room than it is to organize it from scratch. So how do you keep the playroom organized? 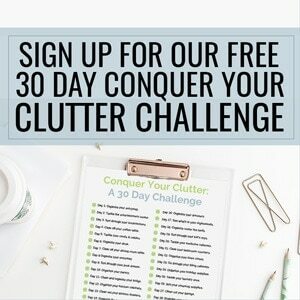 Here are some tips that will help you successfully keep it organized! You should only keep what you have room to store. Now that you completely organized your playroom, take note of how much extra space you have. If your child receives new toys for a birthday or holiday, free up space by donating some of the toys. As things break, don’t be afraid to throw them away. Stay on top of your toy room organization by putting it on your schedule. Once a quarter, go through and throw away broken toys and create new systems as needed. It will be so much easier to clean up the toy room with help from the ones making the mess. Gently remind them after they are done playing with a toy to put them away. If your child has a chore chart, put “tidy up the playroom” or “pick up toys” on the list. And reward them for helping out. The positive reinforcement will encourage them to keep helping out. Stay on top of your storage systems and change them up as frequently as you need to. If your child receives new toys or a board game is falling apart, create a solution. There you have it! This is everything you need to know to create and maintain playroom organization. Just because your child plays in the room all the time doesn’t mean it has to look like a tornado ripped through. Just follow the tips that you find interesting and create a fun playroom for your kids. How to Get Your Kids to Do Their Chores – This article also has helpful tips like which chores your toddler can do. 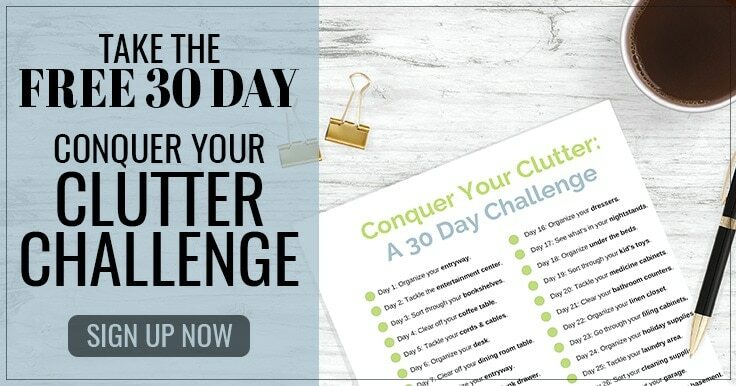 How to Keep Your Kids Organized – Inspiration and encouragement to help you keep your kids on track. Family Command Center Ideas – 13 command center ideas that will organize your entire family.